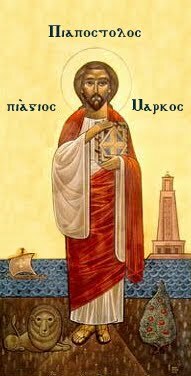 The Coptic Orthodox Church was established in the name of the Lord Jesus Christ by St. Mark the Evangelist in the city of Alexandria around 43 A.D. The church adheres to the Niceen Creed. St. Athanasius (296-373 A.D.), the twentieth Pope of the Coptic Church, effectively defended the Doctrine of the Lord Jesus Christ's Divinity at the Council of Nicea in 325 A.D. His affirmation of the doctrine earned him the title "Father of Orthodoxy" and St. Athanasius "the Apostolic". The term "Orthodoxy" here refers to the preservation of the "original faith" by the Copts who, throughout the ages, defended the Old Creed against the numerous attacks. The Coptic Orthodox Church believes that the Holy Trinity: God The Father, God The Son, and God The Holy Spirit. And that they are equal to each other in one unity. We also believe that the Lord Jesus Christ is the only Savior of the world. Fewer changes have taken place in the Coptic Church than in any other church in both ritual and doctrine aspects. Additionally, the succession of the Coptic Patriarchs, Bishops, Priests and Deacons has been continuous.